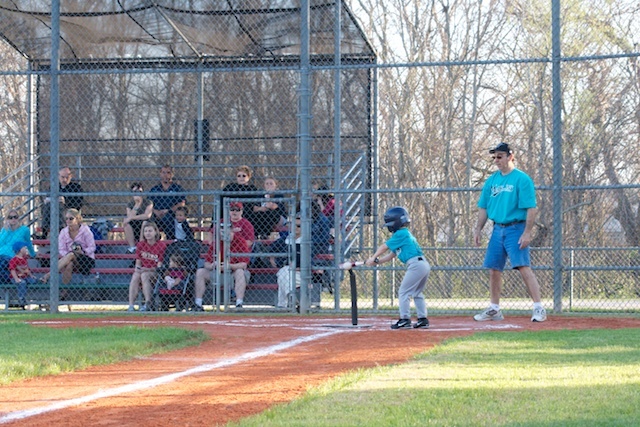 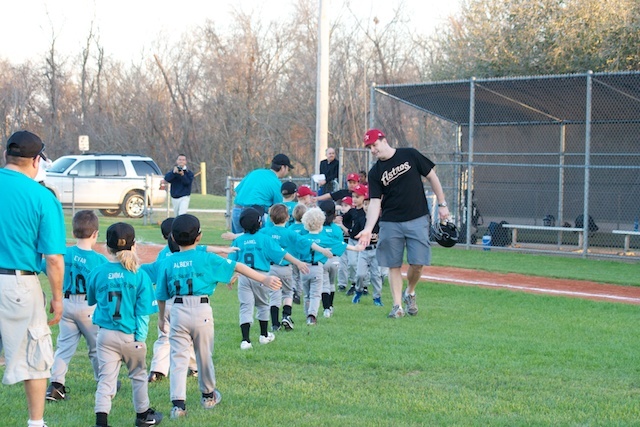 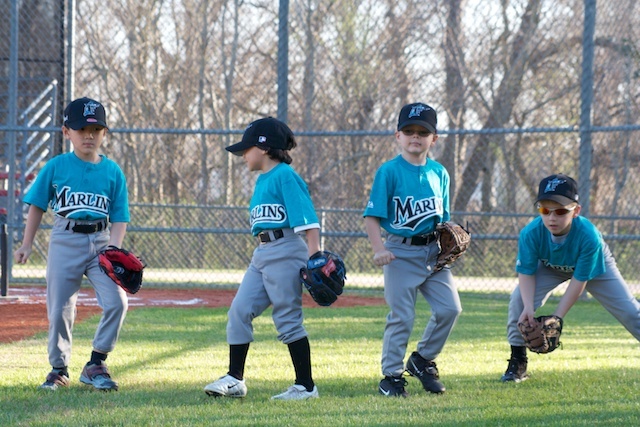 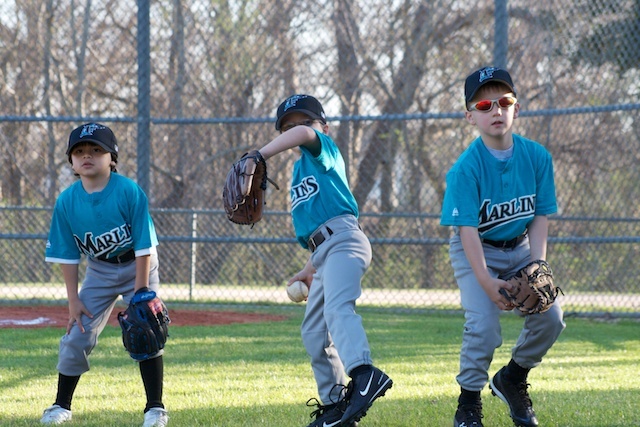 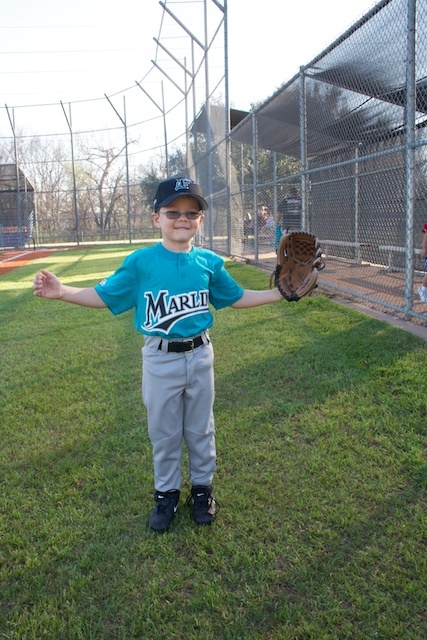 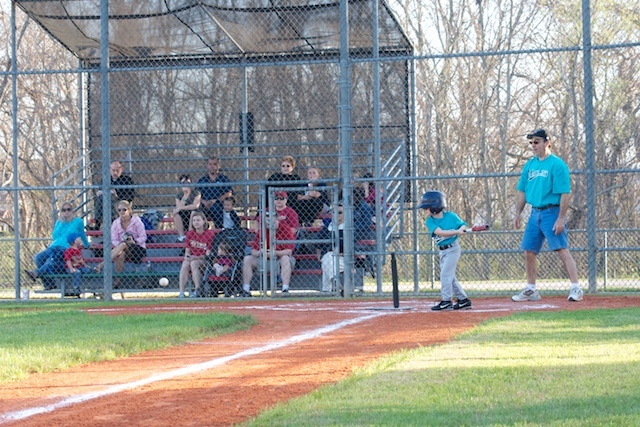 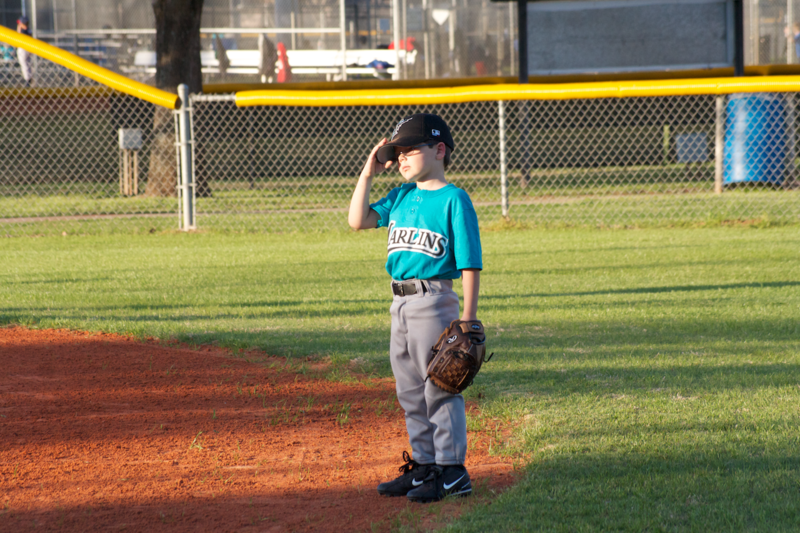 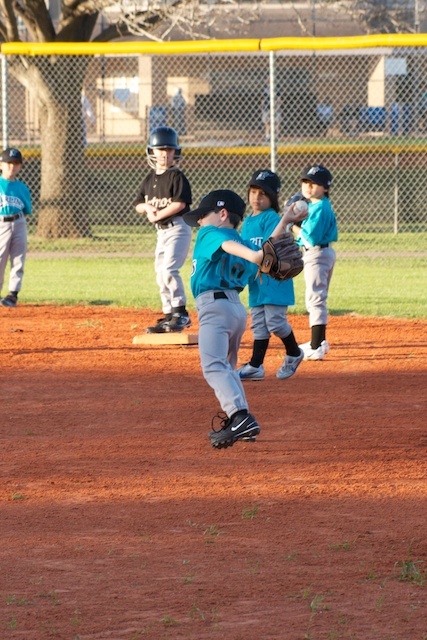 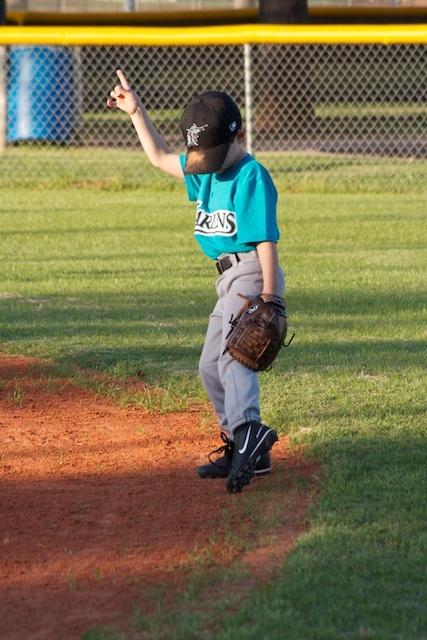 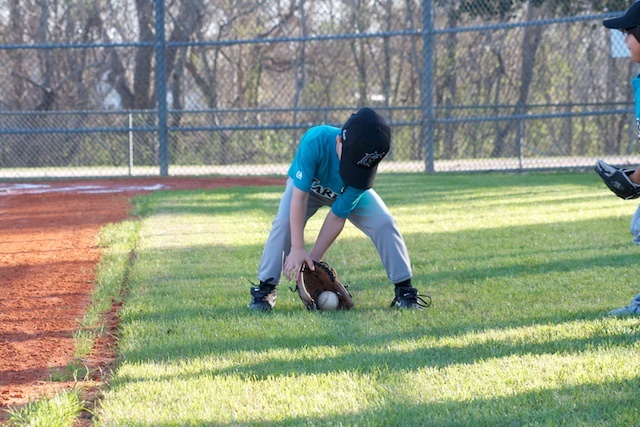 Evan played for the Marlins for his first t-ball season. His season was cut short by his broken arm, but he enjoyed the part he did get to play. 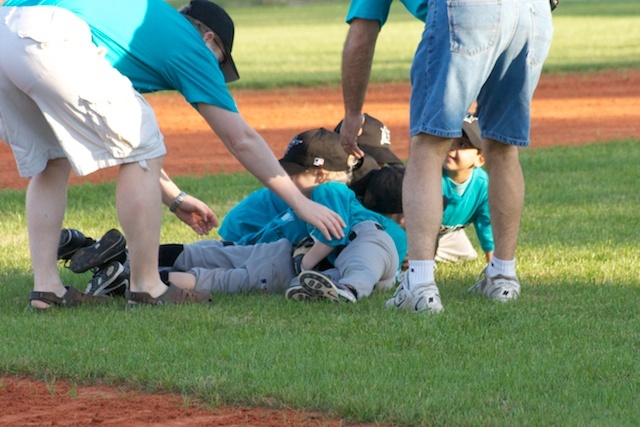 Don’t they have dog piles in baseball?